Disc surgery recovery is quite swift these days, with high rates of success. Artificial Disc Replacement (ADR) is a fairly new technique and the long-term impact of the surgery is yet to be gauged. 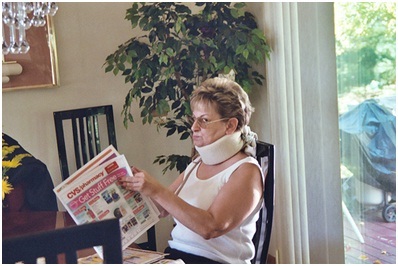 Since long-term studies are unavailable, the success of the surgery is determined by the extent to which the pain is reduced and mobility is restored. Patient responses indicate that complete elimination of pain rarely happens, although there is often a dramatic decline in the pain levels. 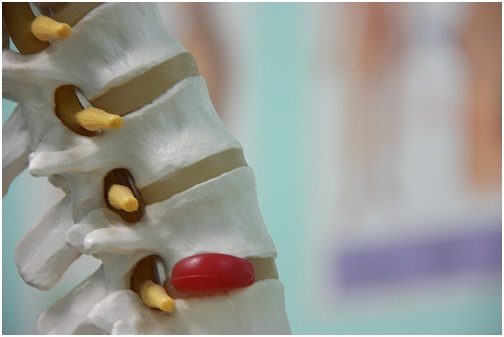 Degenerative Disc Diseases (DDD) can occur due to genetic, age and lifestyle factors and in such cases, the discs that cushion the vertebrae suffer from damage, resulting in chronic back pain. Once the disc pain diagnosis is complete and an artificial disc replacement surgery has been recommended by your doctor, it is time for you to undergo pre disc replacement procedures. These mirror the normal precautions that you would have to take before any surgery. Spinal Fusion and Artificial Disc Replacement (ADR) are the two procedures that are used to treat Degenerative Disc Disease. As Spinal Fusion results in significant loss of mobility, modern medicine is turning increasingly to ADR. During ADR, an artificial disc is used to replace the worn out disc. The surgery lasts a few hours and the pre disc replacement procedures that should be followed have been given below. (i) Selecting the right disc is very important and FDA approved discs are now available and are often recommended by surgeons. (ii) The device used during ADR will be a permanent part of your body and such devices will be available in various designs. However, it will make sense for you to go in for the tried and tested ones. Disc replacement surgery recovery can be quick and successful if a few basic precautions are taken. Artificial disc replacement surgery brings relief from the disc pain symptoms that are experienced by patients suffering from degenerative disc diseases and it scores over the more traditional spinal fusion method as ADR allows greater mobility post-surgery. The techniques and artificial disc implants involved are improving and developing constantly and success rates are high. However, like all surgeries, post operative care and treatment plays a big role in disc replacement surgery recovery. (i) Back surgery recovery does involve spending a minimum of two days in the hospital. Most patients experience an immediate relief from acute pain. If you do have higher than expected levels of pains during disc replacement surgery recovery, your hospital stay should and will be extended. (ii) The doctor will encourage you to walk within a few hours of the surgery. Push yourself to do so even if you do not feel up to it. 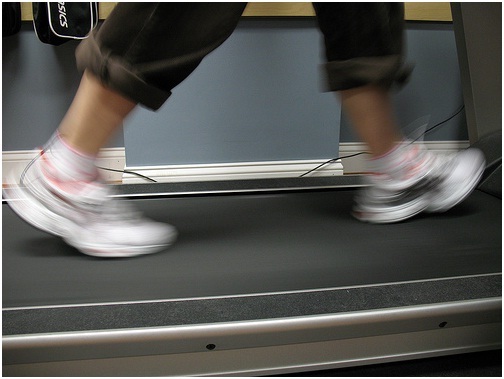 A physical therapist will advise you on how to make the right moves while getting out of bed. (iii) Before leaving the hospital, make sure you have a clear understanding on how to take care of your incision. The most common advice given is to keep the incision dry and clean and let nature do the healing. Artificial Disc Replacement surgery is the most effective treatment for cases where patients suffer from Severe Degenerative Disc Disease. The disc is the portion of the vertebrae that acts as cushioning between the various bones of the spine. It is composed of cartilage and tissue, with a soft center called a nucleus and an outer covering called annulus. These discs act as shock absorbers in the spine and protect the vertebral bones against damage from any trauma, strain or injury. They absorb the shock of falls, allow flexibility in turning and bending, and absorb some of the pressure placed on the vertebrae when any strenuous activity like lifting weights is followed. But, as the years go by, these discs might lose their flexibility and cushioning. They may dry up, become distended, get pushed out, tear or split. While in most cases this normal wear and tear does not really affect the functioning of the body in any perceptible way, some conditions, through natural degeneration or through injury, may cause chronic pain and discomfort. Most degenerative disc disorders don’t need surgical intervention. Some might be simple issues that a few days rest and a few strengthening exercises can cure. Other disorders might need frequent application of hot or cold packs, and some might need physical therapy, while more severe cases might need surgical interference. Artificial Disc Surgery is a relatively new surgical procedure that has emerged as a treatment for injured or damaged discs. In this procedure, part or the whole of a disc might be removed and replaced with an artificial disc made of plastic or metal, or a combination of both. The patient has to be under anesthesia during surgery. 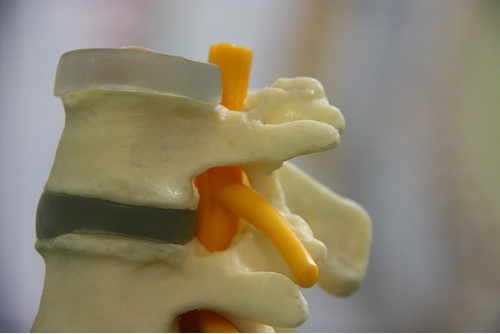 Cervical Disc Replacement Surgery involves replacing a damaged disc in the neck. In this procedure, the damaged disc is removed, and the bones above and below this disc are separated to the correct distance, in a way that they would be apart if a normal undamaged disc were present between them. Then the artificial disc is inserted into this space. The patient can go home within a day or two of this procedure. Lumbar disc replacement or back disc replacement surgery is the replacement of an affected disc in the lower vertebrae. Lumbar disc replacement technology has been used for long in Europe and there are several different procedures. The disc replacement can be partial or full. The hospital stay for lumbar disc replacement surgery is two to four days. Generally, partial disc replacement surgery involves the replacement of the soft center of the disc known as the nucleus. In full disc replacement, both the nucleus and the annulus are replaced. 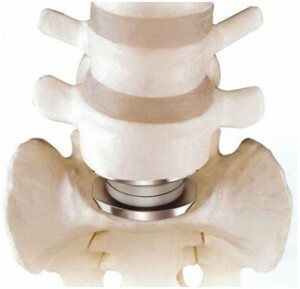 The general method for full disc replacement is to use two plates and a soft central piece to replace the damaged disc. The two plates are attached to the bones above and below the disc being replaced. The soft center is then inserted between these pieces, and these generally curved surfaces then facilitate movement by sliding across each other. 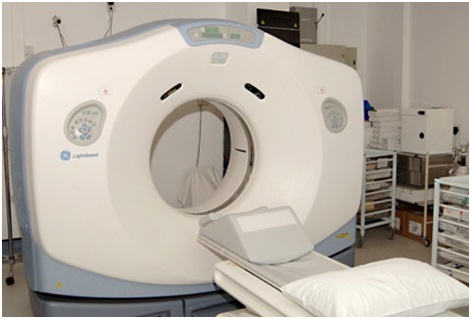 Nucleus replacement procedures generally use soft plastic type of materials. One, called Hydrogel, expands on absorbing water. When placed into the nuclear cavity, this device expands and fills the cavity. Another design is to use a plastic-like coil to fill the cavity. Artificial Disc Replacement Surgery, though newer than the conventional fusion process, is more effective and allows patients more natural functioning after the surgery. It provides quicker and long term relief, if all the pre disc replacement and post operative disc surgery recovery procedures are followed correctly. Artificial Disc Replacement is basically an implant that is used to replace a worn out or diseased intervertebral disc. The artificial disc is a metal or plastic prosthesis. Until the recent past, the surgery was more popular in Europe than in the United States. Artificial disc replacement surgery is at present confined to the lumbar spinal region – which is the lower section of the spine. When Does Artificial Disc Replacement Become Necessary? 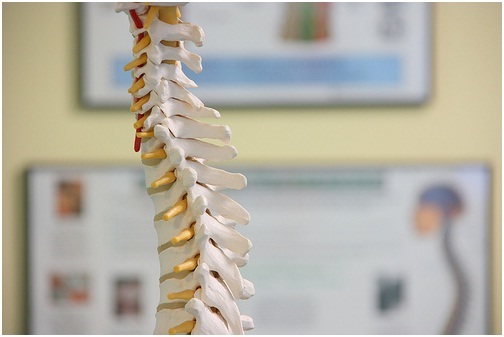 The intervertebral disc is located between each pair of vertebrae and functions as the body’s shock absorber. A healthy intervertebral disc helps protect the spine during activities like running, jumping and lifting. Once the intervertebral disc starts degenerating, the two vertebras come closer to each other. Damage to the intervertebral disc also affects structures like the facet joints. The end result is damage to the articular cartilage which leads to arthritis. The reduction in height between the vertebrae plus arthritis can also affect nerve endings that get squeezed, leading to crippling pain. Sometimes, a tear in the intervertebral lumbar disc causes its soft inner portion to spill out. This tear will release chemical mediators into the body that can cause severe pain. This condition is known as a herniated disc or a slip disc and is also an indicator for artificial disc replacement. The surgery is done under general anesthesia. An incision is made near the umbilicus and the damaged intervertebral disc is removed using special instruments. The surgeon will then restore the height between the two vertebras which had reduced due to the collapse of the lumbar disc. 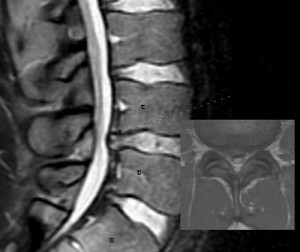 Once the vertebras are restored to their original position, the artificial disc is inserted. The incision is then closed with special surgical glue. The entire procedure takes two to three hours. There are two kinds of surgery that can be performed. These are broadly classified as total disc replacement and disc nucleus replacement. In total disc replacement, almost the entire disc is removed, while in disc nucleus replacement, only the central part of the disc is replaced with prosthesis. 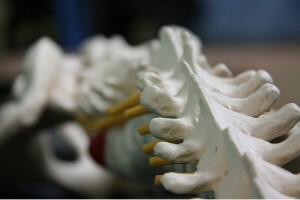 There are also disc replacements that are used to replace damaged discs in the cervical area. However, these are not yet approved for use in the United States though studies are being conducted. Prior to artificial disc replacement, spinal disc fusion surgery was used to treat degeneration of the lumbar disc or herniated disc. Spinal fusion surgery meant that the two vertebrae were fused together using a bone graft. However, the problem with spinal fusion surgery was the resultant loss in motion. In the long run, spinal fusion also resulted in extra stress on adjacent vertebrae. Artificial disc replacement surgery does provide good pain relief without compromising on mobility. 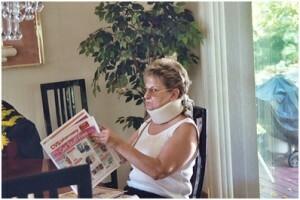 It also does not place any extra stress on adjacent vertebrae. However, the long term impact of artificial disc replacement is yet to be assessed. The artificial disc replacement surgery involves a two to four day hospital stay as well as physical and occupational therapy for complete disc replacement recovery.